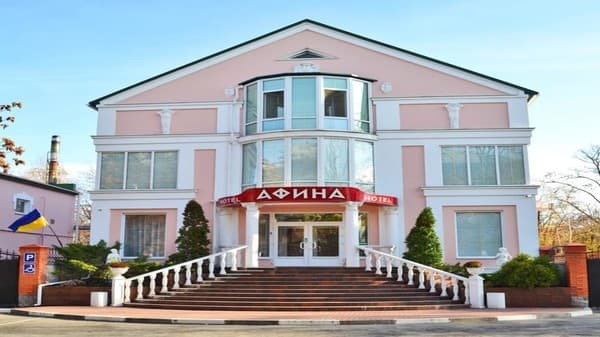 Hotel "Athena" is located in the city of Nikopol. The hotel consists of 17 rooms of different categories. Rooms are equipped with double or twin beds, flat-screen satellite TV, air conditioning, free access to Wi-Fi, bathroom. The hotel has a restaurant, a choice of dishes on the menu. The front desk at the hotel is open around the clock. The hotel has a conference room. For the car provides secure parking on site. Hotel "Athena" is located 2.9 km from the train station and 2.5 km from the bus station. 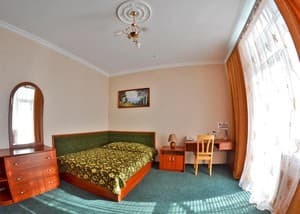 Description of the room: Room size 18 sq. M.
Description of the room: Room size 25 sq. M.
The hotel has a restaurant, a choice of dishes on the menu. 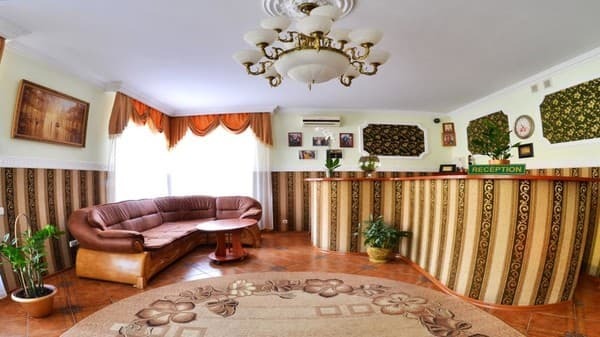 Hotel "Athena" is located in the city of Nikopol. Hotel "Athena" is located 2.9 km from the train station and 2.5 km from the bus station. From the train station to the hotel you can take a taxi number 9.